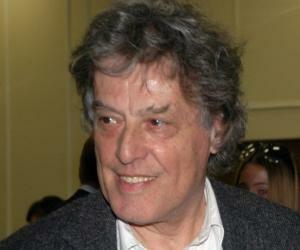 Tom Stoppard is a Czech-born British playwright and screen writer. Read on and learn all about his early life, career, profile and timeline. Tom Stoppard is a Czech-born British playwright and screenwriter. This prolific writer of Jewish origin had to escape from the Nazi forces invading his home town and subsequently from the Japanese forces occupying Singapore. His major success came with the play, ‘Rosencrantz and Guildenstern are Dead’. 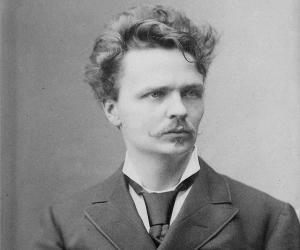 He wrote many more plays and translated a number of plays of Mrozek, Nestroy, Schnitzler and Havel. The influence of Polish and Czech absurdists in his works is apparent. In addition, he is a successful screenwriter. 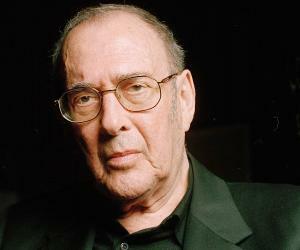 He co-wrote the screenplays for films like ‘Brazil’ and ‘Shakespeare in Love’ which won several prestigious awards. His works gave rise to the term ‘Stoppardian’, to describe works using wit and humor while addressing philosophical concepts. However, his initial works were criticized for lacking social commitment and substance, a criticism he did not refute for he did not mean any of them to be touched by usefulness. His visit to the Soviet Union and Eastern Europe changed this aspect and he began to be involved in human rights issues. He has been involved with the ‘Amnesty International’ and has been outspoken on issues such as censorship and state repression. For his contribution to literature and society, he has been conferred many honors and awards. 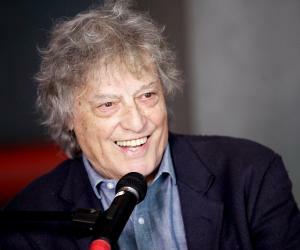 Tom Stoppard was born as Tomáš Straussler on July 3, 1937, in Zlín in the Moravia region of Czechoslovakia, to Martha Bečkova and Eugen Straussler. He is of Jewish origin. In 1939, the Nazis invaded Czechoslovakia and his family fled to Singapore. Subsequently, Martha and her two sons fled to Australia to escape the Japanese. Eugen stayed back in Singapore and died in captivity. The boys shifted to Darjeeling, India, with their mother in 1941 where they attended the Mount Hermon School. Later, Martha married a British army officer, Kenneth Stoppard who gave the boys his surname. His stepfather’s pride in being British influenced him very much. He was enrolled at Dolphin school, Nottinghamshire and then completed his education from Pocklington School in East Riding, Yorkshire. In 1954, Stoppard left school, decided not to pursue a university education— something he regretted years later—and began working as a journalist for the ‘Western Daily Press’ in Bristol. 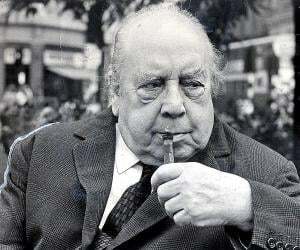 In 1958, the ‘Bristol Evening World’ offered him the position of feature writer, columnist and secondary drama critic. He became friends with director John Boorman and actor Peter O'Toole early in their careers. He worked on short radio plays till the time his first stage play, ‘A Walk on the Water’, was staged in Hamburg. It was then broadcasted on British Independent Television in 1963. His novel, ‘Lord Malquist and Mr. Moon’, published in 1966 is a hilarious fantasy about Moon, a hapless historian who accepts the temporary job as the Boswell to Lord Malquist, a bankrupt aristocrat. His 1974 play ‘Travesties’ is a recollection of the principal character, Henry Carr’s days in Zurich during the First World War, where he used to interact with James Joyce, Lenin and Tristan Tzara. His 1978 play, ‘Night and Day’, is a satire on the British news media and brings out the conflict of ideas between what is said in reports and what the reporter is actually thinking. 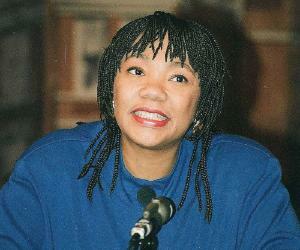 His play, ‘The Real Thing’, was first performed in 1982. It examines the nature of honesty, contrasts semblance and reality and compels the audience to think of a play within a play. ‘The Dog It Was That Died’, written in 1982 for BBC Radio, is about the dilemma faced by a spy over whom he actually works for and was adapted for television too. He co-wrote the 1985 dark comedy fantasy film, ‘Brazil’, which centers on a man trying to find a woman who appears in his dreams and is set in a dystopian world of whimsical machines. He co-wrote with Marc Norman, the 1998 British romantic comedy film, ‘Shakespeare in Love’, which depicts a love affair involving playwright William Shakespeare while he was writing the play ‘Romeo and Juliet’. ‘Parade’s End’, a five part television miniseries premiered on HBO in 2013 is his adaptation of the tetralogy of novels of the same name by Ford Madox Ford. In 1966, ‘Stoppard’s ‘Rosencrantz and Guildenstern Are Dead’, an absurdist, existentialist tragicomedy based on the expanded exploits of the two courtiers from Shakespeare's ‘Hamlet’, was first staged at the Edinburgh Festival Fringe and garnered great appreciation. ‘Arcadia’, a 1993 play written by Stoppard, is set in two periods 180 years apart. It’s regarded by many critics as the finest play from one of the most significant playwrights in the English language. Stoppard’s play, ‘Rosencrantz and Guildenstern Are Dead’ won the ‘Tony Award for Best Play’, and the ‘New York Drama Critics' Circle Best Play of the Year’ in 1968. His play, ‘Travesties’, won the Evening Standard Award for Best Comedy of the Year (1974), and the Tony Award for Best Play (1976). ‘Arcadia’ won the Critics' Circle Theatre Awards for Best New Play and the Evening Standard Award for Best Play of the Year in 1993, and the Laurence Olivier Award for ‘Best New Play’ in 1994. ‘Shakespeare in Love’ received many awards including the Academy Award for the Best Original Screenplay (1998) and the Silver Bear For An Outstanding Single Achievement (1999). He has been honored with the CBE and made the Knight Bachelor and conferred with the Order of Merit. Stoppard has been married twice; first to Josie Ingie, a nurse and then to Miriam Stern. He also had a relationship with actress, Felicity Kendal. He has two sons from each marriage—Oliver, Barnaby, Ed and Will. ‘The Tom Stoppard Prize’, founded in 1983 in Stockholm, is awarded annually to authors of Czech origin and includes prize money of 30,000 Czech crown and a symbolic marble foundation cube designed by Peter Tucny. This Czech born British playwright once said, ‘If you carry your childhood with you, you never become older’. 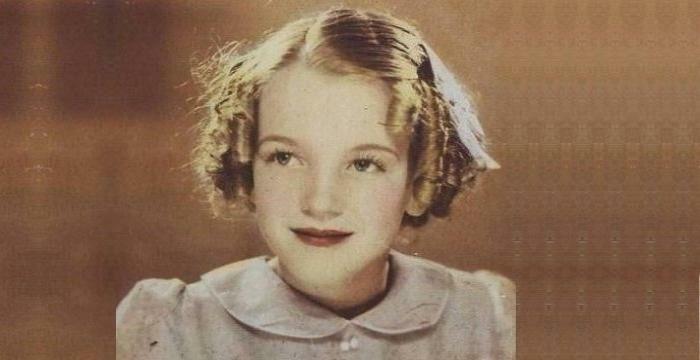 The famous writer worked as an uncredited script-doctor and re-wrote superhit movies such as, ‘Indiana Jones’ and the ‘Last Crusade’, ‘Sleepy Hollow’, and ‘K-19: The Widowmaker’.